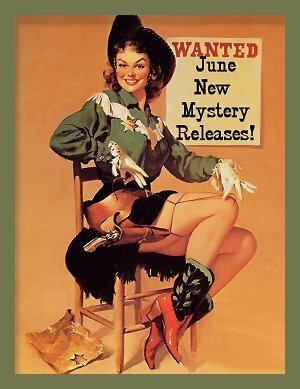 June 2016 New Mystery Releases! Our niece Daisy arrives from England for a two-week stay today. I've been working like a fiend out in the garden trying to erase signs of neglect-- not just because she's coming but because I spend a lot of time out there this time of year. I've brought in the pros with the really big ladders and the really big tools to trim trees. I've had an expert come in to do some exterior repairs to the house. I've even managed to do a bit of cleaning inside the house. I'm looking forward to having Daisy here so I'll have an excuse not to do anything! But one thing is certain: no matter what else I may happen to be doing, I'll always be keeping an eye out for new crime fiction to feed my addiction. My picks this month are-- as usual-- grouped by release date, and I've included all the information you'll need to find them at all your favorite book procurement sites. Book synopses are courtesy of Amazon. It's time to find books to add to your wish lists! 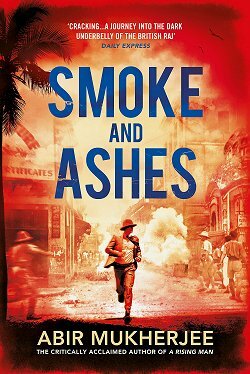 Series: #1 in the DCI Frank Merlin police procedural series set in World War II London. Synopsis: "When a brilliant emigré scientist is killed by a hit and run driver and a young woman's body is washed up in the Thames, Merlin and his team must investigate. The woman is an American Embassy employee. The Ambassador at this time is Joseph Kennedy. DCI Merlin's investigation of diplomats ruffles feathers at the Foreign Office—the U.S. Ambassador is a well-known supporter of appeasement and many powerful Britons favor a negotiated peace settlement with Hitler. 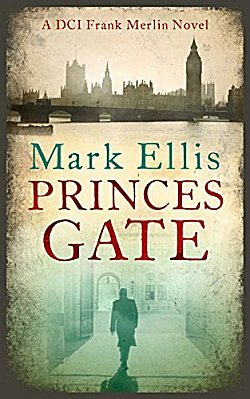 Another Embassy employee death leads Merlin into the seedier quarters of wartime London where a corrupt night-club owner, various diplomats and the Ambassador himself appear to be linked to the deaths. Merlin has to pursue his work under the supervision of an Assistant Metropolitan Commissioner who is fearful about the impact of Merlin's investigations on Anglo-American relations at a time when America represents to many Britain's the only hope of salvation." Synopsis: "In Room 217 of the Lakes Region Traumatic Brain Injury Clinic, something has awakened. Something evil. Brady Hartsfield, perpetrator of the Mercedes Massacre, where eight people were killed and many more were badly injured, has been in the clinic for five years, in a vegetative state. According to his doctors, anything approaching a complete recovery is unlikely. But behind the drool and stare, Brady is awake, and in possession of deadly new powers that allow him to wreak unimaginable havoc without ever leaving his hospital room. 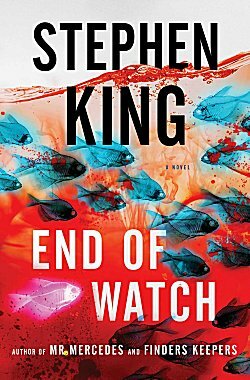 Retired police detective Bill Hodges, the unlikely hero of Mr. Mercedes and Finders Keepers, now runs an investigation agency with his partner, Holly Gibney—the woman who delivered the blow to Hartsfield’s head that put him on the brain injury ward. When Bill and Holly are called to a suicide scene with ties to the Mercedes Massacre, they find themselves pulled into their most dangerous case yet, one that will put their lives at risk, as well as those of Bill’s heroic young friend Jerome Robinson and his teenage sister, Barbara. Brady Hartsfield is back, and planning revenge not just on Hodges and his friends, but on an entire city." Series: #2 in the Kelly Jackson cozy series set in northern California. 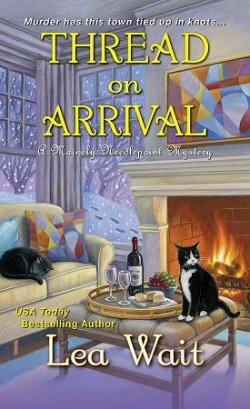 Synopsis: "It's whale-watching season in Redwood Cove, and B&B manager Kelly Jackson's battening down the hatches for the tourist rush at Redwood Heights-a Victorian-style estate owned by her boss. And due to recent jewelry thefts, her duties include keeping track of the many dust-covered artifacts spread throughout the property. But when Kelly finds Sylvia Porter's lifeless body with a blood-splattered brooch around her neck, menial tasks don't seem so terrible. 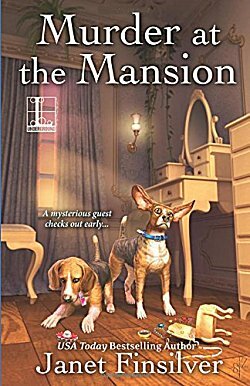 Enlisting the help of a ragtag group of brainy retirees, aka the Silver Sentinels, Kelly's on the hunt for clues hidden behind the mansion's glamorous facade . . . and for a killer who may want to make history of her next!" Series: #16 in the Aimée Leduc private investigator series set in 1989 Paris, France. *Upcoming review on Kittling: Books. Synopsis: "November 1989: Aimée Leduc is in her first year of college at Paris’s preeminent medical school. 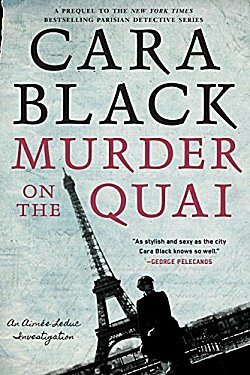 She lives in a 17th-century apartment that overlooks the Seine with her father, who runs the family detective agency. But the week the Berlin Wall crumbles, so does Aimée’s life as she knows it. First, someone has sabotaged her lab work, putting her at risk of failing out of the program. Then, she finds out her aristo boyfriend is getting engaged to another woman. And finally, Aimée’s father takes off to Berlin on a mysterious errand. He asks Aimée to help out at the detective agency while he’s gone—as if she doesn’t already have enough to do. But the case Aimée finds herself investigating—a murder linked to a transport truck of Nazi gold that disappeared in the French countryside during the height of World War II—has gotten under her skin. Her heart may not lie in medicine after all—maybe it’s time to think harder about the family business." Series: #7 in the Mike Bowditch game warden series set in Maine. After trying so hard to put his troubled past behind him, Mike is reluctant to revisit the wild country of his childhood and again confront his father’s history of violence. But Amber’s desperation and his own need to know the truth make it hard for him to refuse her pleas for help. In search of answers, Bowditch travels through a mountainous wilderness to a place hidden from the rest of the world, where the military guards a top-secret interrogation base, sexual predators live together in a backwoods colony, and self-styled vigilantes are willing to murder anyone they consider their enemies. Mike Bowditch must exorcise the demons of the past before the real-life demons of the present kill him first." Series: #1 in the Victoria Bergman trilogy set in Stockholm, Sweden. Synopsis: "It begins in a Stockholm city park where the abused body of a young boy is discovered. Detective Superintendent Jeanette Kihlberg heads the investigation, battling an apathetic prosecutor and a bureaucratic police force unwilling to devote resources to solving the murder of an immigrant child. But with the discovery of the mutilated corpses of two more children, it becomes clear that a serial killer is at large. 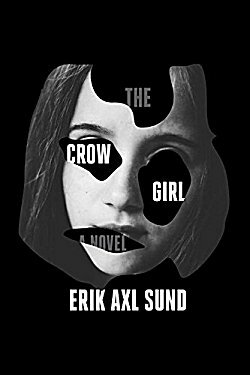 Superintendent Kihlberg turns to therapist Sofia Zetterlund for her expertise in the psychopathology of those who kill, and the lives of the two women become quickly intertwined—professionally and personally. As they draw closer to each other and to the truth about the killings, what surfaces is the undeniable fact that these murders are only the most obvious evidence of an insidious evil woven deep into Swedish society." Series: #3 in the Langham and Dupré historical series set in the Scottish Highlands. Synopsis: "It’s the bitterly cold December of 1955, and Donald Langham has been asked by his friend, private detective Ralph Ryland, to assist him on a case. Ryland has been contacted by their old commanding officer, Major Cartwright, who has reasons to believe that his life is under threat at his remote castle in the Scottish Highlands. On arriving at the castle, Langham and Ryland learn that Major Cartwright is attempting to raise the wreck of a German fighter plane which crashed into the loch in 1945. But it’s not only the bad weather that has put a halt to the progress of the salvage. 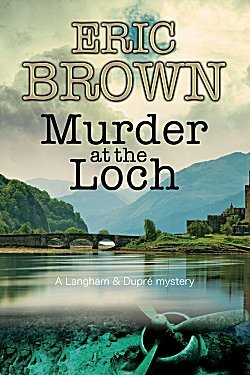 Soon after Langham’s arrival, one of Cartwright’s guests is brutally murdered – and the hunt is on to stop a ruthless killer before he – or she – strikes again." Synopsis: "Bob Reynolds doesn't recognize the body in the creek, but he does recognize the danger of it. He's a newcomer to town, not entirely welcome, and not entirely on good footing with the sheriff. So far he's kept his head down, mostly over the bar at the Crow's Nest. But he has interests other than drinking and spending his inheritance, including one that goes by the name Tammy Fay Smith and who may have caught the sheriff's eye as well. Reynolds would rather pretend he never saw the body, but when it disappears, he begins to doubt what little he knew about this secretive town, a town that seems to become more unwelcoming by the day. Try as he might, he just can't just forget the body, despite the advice he's given to do so, and despite the evidence to suggest that he might be disappearing himself soon enough. 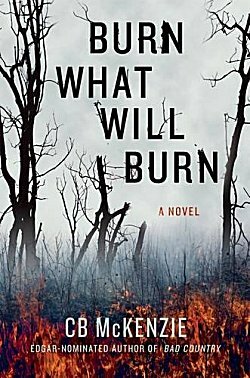 Following his acclaimed, award-winning debut, Burn What Will Burn confirms CB McKenzie as a one-of-a-kind crime novelist with an unforgettably original voice." 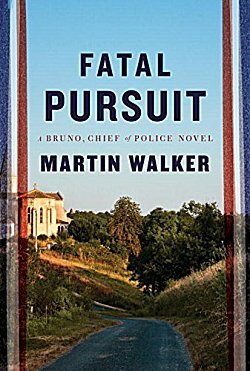 Series: #9 in the Bruno Chief of Police series set in southwestern France. Synopsis: "At the annual fête in St. Denis, Bruno’s biggest worry is surviving as a last-minute replacement navigator in a car rally race. The contest and a classic-car parade are new to the festivities and draw a spate of outsiders with deep pockets, big-city egos and, in the case of a young Englishman, an intriguing story. It’s the tale of a Bugatti Type 57C, lost somewhere in France during World War II. Among the most beautiful cars ever made, one of only four of its kind—Ralph Lauren owns one—it is worth millions and drives its pursuers mad with greed. In the midst of the festivities, a local scholar turns up dead and Bruno suspects unnatural causes. After a second death, there is mounting evidence that the events in St. Denis are linked to international crime. To make matters even more complicated, a family squabble over land brings to St. Denis a comely Parisienne who turns Bruno’s head. As usual, Bruno’s life offers its challenges—but there is always time for a good bottle and a home-cooked meal." Synopsis: "At thirty-nine, Manon Bradshaw is a devoted and respected member of the Cambridgeshire police force, and though she loves her job, what she longs for is a personal life. Single and distant from her family, she wants a husband and children of her own. 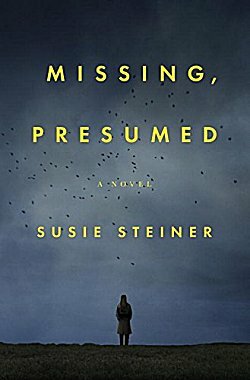 One night, after yet another disastrous Internet date, she turns on her police radio to help herself fall asleep—and receives an alert that sends her to a puzzling crime scene. Edith Hind—a beautiful graduate student at Cambridge University and daughter of the surgeon to the Royal Family—has been missing for nearly twenty-four hours. Her home offers few clues: a smattering of blood in the kitchen, her keys and phone left behind, the front door ajar but showing no signs of forced entry. Manon instantly knows that this case will be big—and that every second is crucial to finding Edith alive. The investigation starts with Edith’s loved ones: her attentive boyfriend, her reserved best friend, her patrician parents. As the search widens and press coverage reaches a frenzied pitch, secrets begin to emerge about Edith’s tangled love life and her erratic behavior leading up to her disappearance. 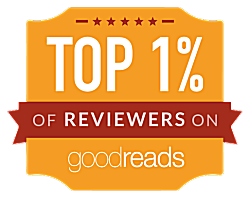 With no clear leads, Manon summons every last bit of her skill and intuition to close the case, and what she discovers will have shocking consequences not just for Edith’s family but for Manon herself." Synopsis: "Magnus 'Steps' Craig is part of the elite three-man Special Tracking Unit of the FBI. Called in on special cases where his skills are particularly needed, he works as a tracker. The media dubs him 'The Human Bloodhound,' since Steps is renowned for his incredible ability to find and follow trails over any surface better than anyone else. But there's a secret to his success. Steps has a special ability---a kind of synesthesia---where he can see the 'essence' of a person, something he calls 'shine,' on everything they've touched. His ability is known to only a few people---his father, the director of the FBI, and his partner, Special Agent Jimmy Donovan. When the remains of a murdered woman are found, Steps recognizes the shine left by the murderer from another crime scene with a physically similar victim. And he uncovers the signature at both scenes---the mark of a sad face. At the same time, another killer, one Steps has dubbed Leonardo and has been trying to track for over ten years, appears again, taunting Steps. But while Steps tries to find a clue that will lead him to Leonardo, the case of the Sad Face Killer heats up. The team uncovers eleven possible victims: missing women who fit the same pattern. 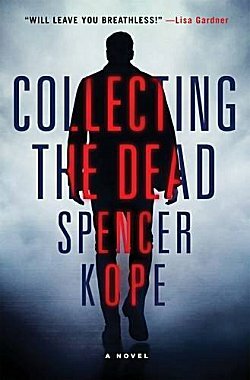 Using his skill and the resources of the Bureau, it is a race against time to find the killer before it's too late." Series: #3 in the Webb's Glass Shop cozy series set in Florida. 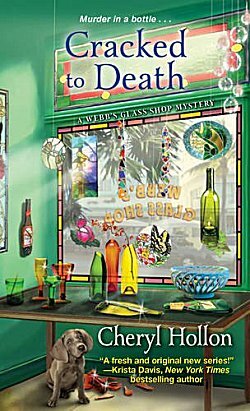 Synopsis: "When a treasure hunt leads to deadly plunder, it's up to glass shop owner Savannah Webb and her trusty investigative posse to map out the true motives of a killer. It's the dog days of summer in St. Petersburg, Florida, and Webb's Glass Shop proprietor Savannah Webb has an eco-friendly plan to help locals escape the heat--a recyclable bottle-crafting workshop taught by reticent store manager Amanda Blake. Turns out, the class is a bigger smash than expected, thanks in part to a pair of staggeringly old bottles brought in by snorkeler Martin Lane. Linked to a storied pirate shipwreck, the relics definitely pique Savannah's interest. But intrigue turns to shock when Martin's lifeless body washes ashore the next morning, another glass artifact tucked in his dive bag. With cell phone records connecting Amanda to the drowning, Savannah must voyage through unchartered territory to exonerate her colleague and capture the twisted criminal behind Martin's death. " 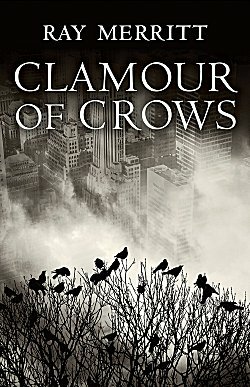 Synopsis: "Clamour of Crows is a brilliantly crafted modern morality play that charts the life and curious death of the legendary entrepreneur Ben Baum, replete with mayhem, mystery and, perhaps, murder. The novel's reluctant protagonist, Jonathan Tucker, finds himself drawn into a maze of deception, death and betrayal. Having lost the only things that matter, he is induced by his mentor to reengage with his former Wall Street law firm. Tuck, as he is called, has to develop skills he never possessed, just to stay even with an unknown adversary in the world of Big Law, bigger business and international chicanery. Ingeniously told, this saga blends elements of classic literature with nonstop action across two continents, taking you to the edge of your emotions and reeling you back, without ever losing its sense of humor and style. Peppering his story with allusions to the world's most adored children's classics, the author explores the height of greatness and the depth of evil. 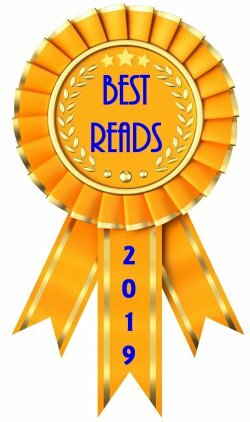 In Clamour of Crows, Ray Merritt has created a witch's cauldron of intrigue, betrayal and unnecessary deaths, as he explores the dark side of human nature and the fundamental essence of family and forgiveness." A little something for everyone, as usual, this month, and a good blend of the old and the new. Which titles made it to your wish lists? Inquiring minds would love to know! Looks like a good month, Cathy. I love the Martin Walker series, and the Doiron series is pretty good, too. Oh, and a Cara Black, too! Nice pickings. So many good reads to start off summer! 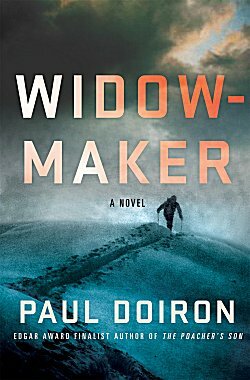 I am looking forward to the new Paul Doiron and really like Cheryl Hollon's series too! Cracked to Death was the first book I'd read by Hollon. I have to start the Martin Walker books. Ah, France. Otherwise, I'm wary of new series, as the TBR list is frightening and growing. Mine is my security blanket. It doesn't matter how large it is, it comforts me.